FORT LAUDERDALE, Fla., Sporting Alert – College basketball top 25 scores and selected recaps from the games that took place across the league on Wednesday, January 20. No. 2 North Carolina wins 10-straight, but No. 11 Michigan State falls again. 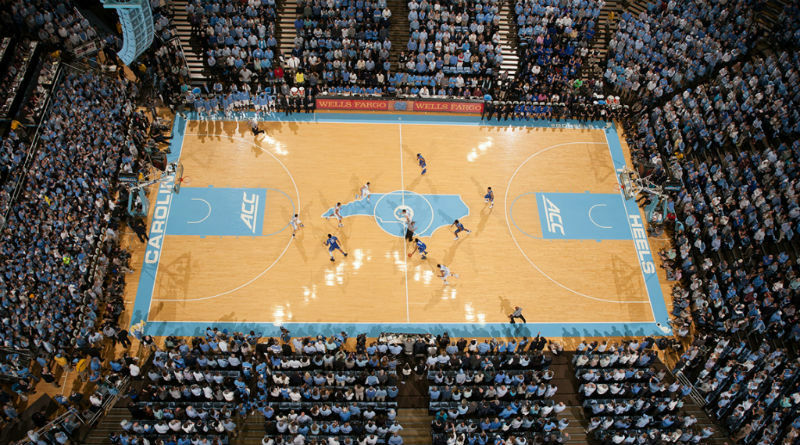 CHAPEL HILL, N.C. — Brice Johnson had a double-double for No. 2 North Carolina to beat Wake Forest 83-68 on Wednesday night in a college basketball top 25 fixture. Johnson scored 27 points on 8-of-12 shooting, while grabbing 11 rebounds and picking up three steals and two blocks to help the Tar Heels (17-2, 6-0 Atlantic Coast Conference) captured their 10th straight win. The victory also saw North Carolina staying perfect from six games in the ACC, while extending its best start in league play since 2000-01. Johnson was the only North Carolina player to score in double-digits, but Isaiah Hicks was useful with nine points, nine rebounds and two steals, Joel Berry II hit two 3-pointers and finished with nine points and six boards and Kennedy Meeks ended with nine points, five rebounds and two blocks for the Tar Heels, who never trailed. Bryant Crawford scored 18 points and five assists and Devin Thomas had 17 points and nine rebounds for Wake Forest (10-8, 1-5), which went just 2-of-18 from 3-point range for 11 percent. The Demon Deacons (10-8, 1-5), who trailed 46-30 at halftime, lost their third straight game and have dropped five of six since the start of the new year. Meanwhile, Wednesday night’s win puts preseason No. 1 North Carolina in an advanced position to move back into the top-rank spot in the AP college basketball top 25 poll after Oklahoma’s loss earlier this week. EAST LANSING, Mich. — Shavon Shields ignored a hip problem to pour in 28 points, and Nebraska held on for a shocking 72-71 victory over No. 11 Michigan State in college basketball top 25 action on Wednesday. Shields, who left the game with a hip injury in the first half, played through the nagging pain to shoot 12-of-20 from the floor, as the Cornhuskers (12-8, 4-3 Big Ten) shot 50 percent as a team overall. Glynn Watson Jr finished with 13 points and Tai Webster added 10 points and seven boards for Nebraska which won four straight and has won three in a row against the Michigan State. Denzel Valentine led the Spartans (17-4, 3-4) with 24 points, six rebounds and six assists, but missed a shot as time expired. Eron Harris finished with 14 points, Deyonta Davis added 13 points and seven rebounds and Matt Costello finished with eight points and 10 rebounds for Michigan State, which lost three straight.